The need to manage, organize, view, edit, and preserve mass amounts of digital assets is a priority concern within the corporate environment. 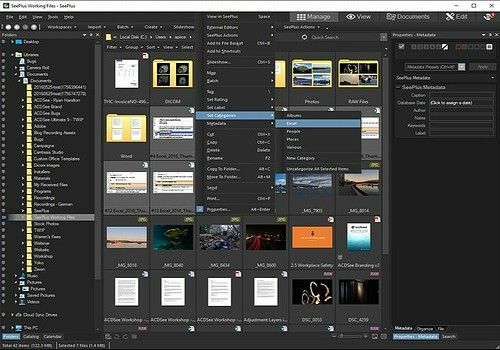 SeePlus offers the world's best-in-class digital asset management and editing capabilities, including high performance, batch processing tools, IPTC support, and comprehensive image editing. From small to medium-sized to Fortune 500 businesses, SeePlus offers companies everything they need to ensure their data is organized, managed, and protected. Laisser un commentaire sur SeePlus 9.0.520 Merci de rester correct et de respecter les différents intervenants.